Pilot Petit1 in apricot orange. Lamy Safari fountain pen in orange. can you believe i still dont own a petiet? 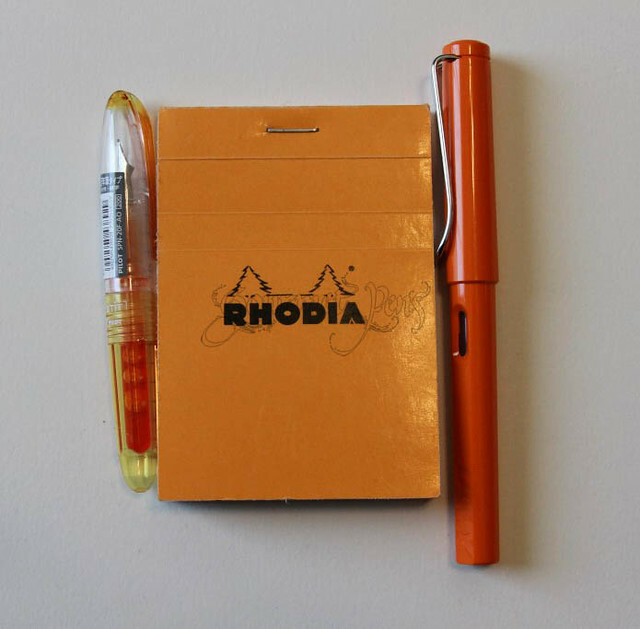 I love those little Rhodia pads! So cute. And I have to go buy myself one of those Pilots soon. Or maybe five. Definitely five. It's impossible to pick a color! This is egregious!!! You need all.